50% Off Biofeedback Certification Courses at The Quantum Academies! If you’ve been waiting for the perfect time to invest in being trained and certified as a biofeedback professional, that time is now! I’ve teamed up with Nirvana Zarabi-Smith from The Quantum Academies, and for a LIMITED TIME, she agreed to offer you 50% OFF her BIOFEEDBACK CERTIFICATION TRAINING PROGRAMS! You see, Nirvana and her team at The Quantum Academies produced fantastic videos for her certification courses, and to get the word out, she’s offering you 50% off both her Certified Biofeedback Technician (CBT) and Certified Biofeedback Specialist (CBS) certification training programs so that you can get certified and then tell all of your friends and colleagues in the biofeedback community about her amazing training program. What are the benefits of getting certified, you ask? The benefits of getting certified are numerous, but I know your time is valuable. So I’ll just go over the top 5 benefits of getting certified as a biofeedback professional. First, getting certified will allow you to display a certificate that you can frame and put on your office wall stating that you are a Certified Biofeedback Technician (CBT) or a Certified Biofeedback Specialist (CBS), which can give you instant credibility in the eyes of your prospective clients, and can increase the revenue of your practice quite substantially. It’s just like going into a doctor’s office and seeing their diplomas on the wall from all of the schooling that they went through before they started practicing. Seeing the initials ND or MD after their name…doesn’t that give you peace of mind? Would you feel comfortable going to a doctor that had no diplomas at all to show you? No initials after their name? No proof to show you that they know what they’re doing? I certainly wouldn’t feel comfortable in that situation, and I would not hire that doctor. That’s why it’s very important that you get certified if you’re going to use your SCIO/Indigo/Eductor professionally…so you DO have a certificate to display in your office proving you have the proper education and training to use the SCIO/Indigo…so you HAVE the initials CBT or CBS after your name to show that you are a professional. And once you have the vast knowledge that you will gain from taking these certification courses, no one can ever take that from you. You will have this knowledge for life! There’s one more benefit for getting certified that is crucial for your business…and that is, when you get certified, you will have the ability to purchase liability insurance to protect your practice. If you want to minimize your personally liability, then purchasing liability insurance for your practice is a MUST, and getting certified will allow you to do that. Vast knowledge about the biofeedback technology and how to use your SCIO/Indigo/Eductor at its highest potential that no one can ever take away from you! Those benefits are pretty compelling, aren’t they? The first PDF listed above also lists the courses required for each level. I’ll give you a summary of them below. But before I do that, I want to offer you TWO FREE GIFTS from Nirvana. Nirvana is very generously giving you access to nearly 2 hours of video from her Beginners Biofeedback Course, which you can watch for free so you can see the quality of training that these courses offer. NOTE: You can view the above videos on any of your devices: desktop computer, laptop, tablet, smartphone, etc. 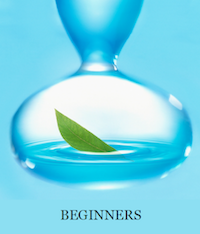 Nirvana’s second gift to you is an 81 page sample PDF from her Beginners Biofeedback course. I think you’ll find it both helpful and informative. To gain instant free access to both of these FREE GIFTS, just enter your email address below. NOTE: After you sign up to receive your FREE GIFTS by entering your email address above, be sure to click the link in the confirmation email that you’ll receive a few minutes after you request your gifts to confirm that you want your gifts. To give you a quick summary, here are the courses required for each certification level, their descriptions, as well as the special discounted price that you can get for each certification level, if you make the investment today. The first level of biofeedback certification is Certified Biofeedback Technician (CBT). This is a 10 hour online lecture of the fascinating science and history of biofeedback, and it consists of 18 video modules and a 616 page training manual. This course is theoretical and does not require a biofeedback device. This is a prerequisite for the Beginners Course. You’ll be required to review the Basic Navigation manual a minimum of 3 times cover-to-cover prior to starting the Beginners Course. This is a 149 page manual. You will need to have the Clasp32 software program loaded on your laptop prior to beginning this prerequisite. This course is designed to immerse novice quantum biofeedback device users in hands-on practical training for utilizing the biofeedback device and its Clasp32 software. It’s very easy to follow, as the brilliant people at The Quantum Academies have laid out the groundwork for you in the simplest format possible. It’s designed to enhance your stress reduction skills. This course consists of 35 video modules (25 chapters), a 496 page training manual, and an additional 172 pages of supplemental reading material. So that’s it for the required courses for the CBT certification! Would you like to know the special price for CBT Certification with the 50% discount? NOTE: The above link has the normal price. After you tell me that you want to take advantage of this amazing offer, I’ll have Nirvana send you a special email with the link where you can invest in her certification training program for half the normal price! An amazing deal, don’t you agree? Now if you’re really serious about becoming a certified biofeedback professional, then I would highly suggest you get certified as a Certified Biofeedback Specialist (CBS), as this level of certification will give you all of the knowledge that you’ll need to take your business to the next level. This is a 15 hour home study course, and it includes a 520 page textbook that covers 23 chapters. Completion of the course requires that you take and pass the Anatomy & Physiology online exam. This course covers the more advanced topics for a deeper understanding of the Clasp32 software program, and should be taken along with the Competency Hours and Coaching Course. It consists of 22 video modules covering 15 chapters, a 431 page training manual, and an additional 196 pages of supplemental reading material. And that completes the required courses for the CBS certification! Would you like to know the special price for CBS Certification with the 50% discount? Again, this is a quick summary of the required courses for each certification level. For a complete list of the certification procedures, please check out the Online Certification Procedures [PDF]. This is a VERY RARE OFFER and it’s for a LIMITED TIME ONLY. So if you’ve been wanting to get a GREAT DEAL on one of the best biofeedback certification training programs in the business, then NOW is the time to act, because I’m not sure how much longer Nirvana will be offering this amazing discount! I’ll have Nirvana send you a special email with a link where you can get her amazing biofeedback certification training program at 50% OFF! If you have any questions about any of this, feel free to email me or give me a call at 424.354.1141. Feel free to share this page with your friends and colleagues in the biofeedback community!